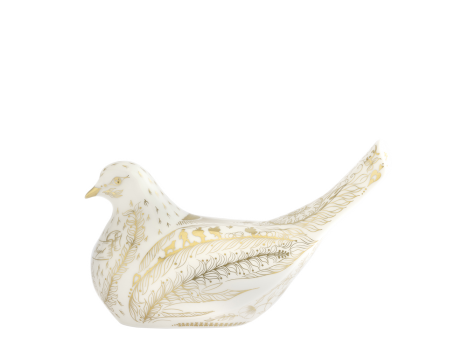 The Guild Collectors were given the chance to design a Royal Crown Derby paperweight, and the winner Mrs Bartlam came up with the idea of a war pigeon which our creative director loved the idea of. 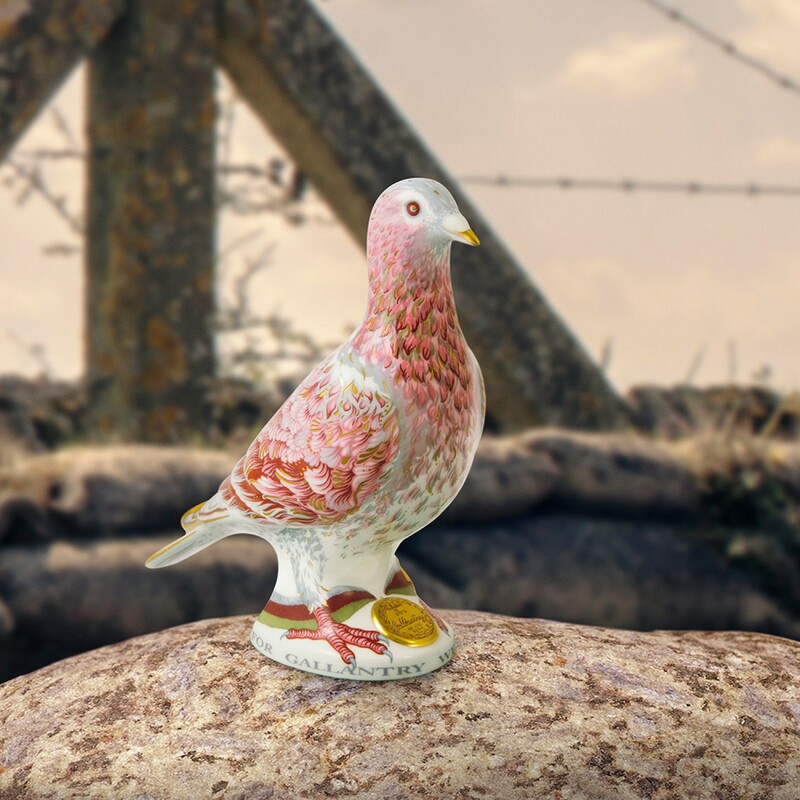 The War Pigeon paperweight pays homage to "Commando" war pigeon who served alongside the British Army during World War II to carry crucial intelligence over enemy lines. 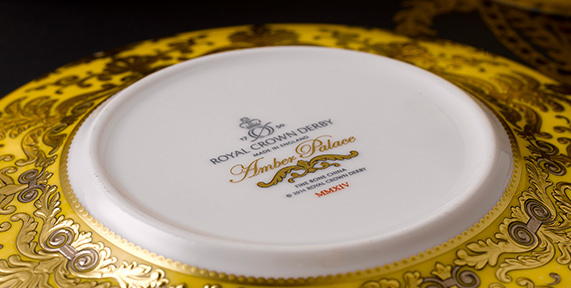 Beautifully decorated in line with colours found in wartime propaganda and utilitarian fashion, wartime camouflage techniques have been the source of inspiration with some areas displaying softer feather impressions contrasting other stronger areas that show flecks of 22 carat gold gilded as part of the decoration. 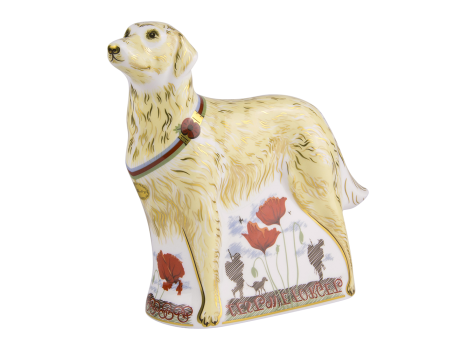 The design also features an interpretation of the Dickin Medal with the inscription, "For gallantry we also serve" around the base. 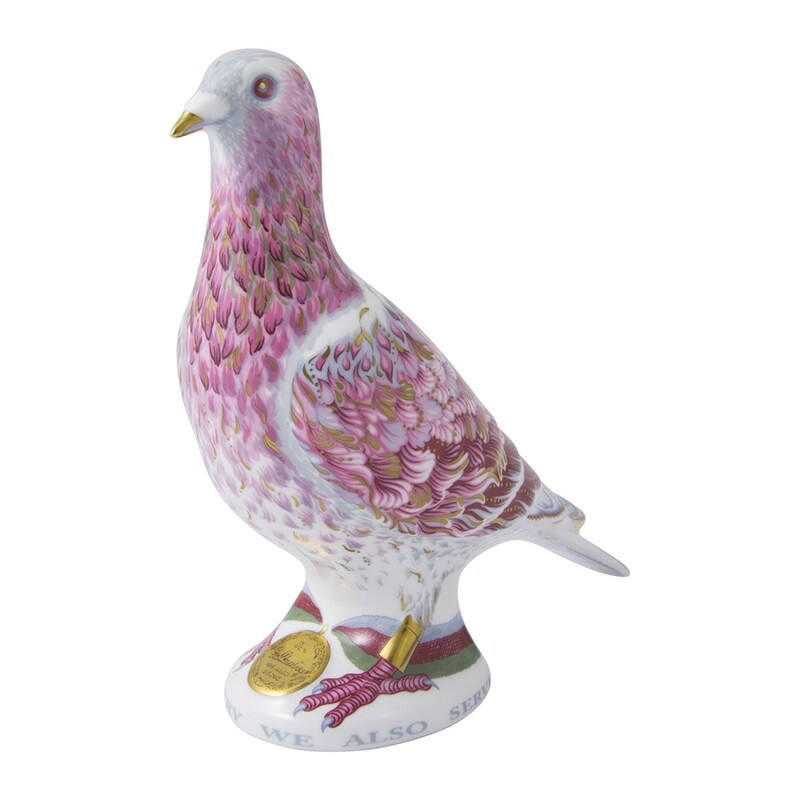 The War Pigeon is a fitting piece to complement the current World War 1 Commemorative Collection. 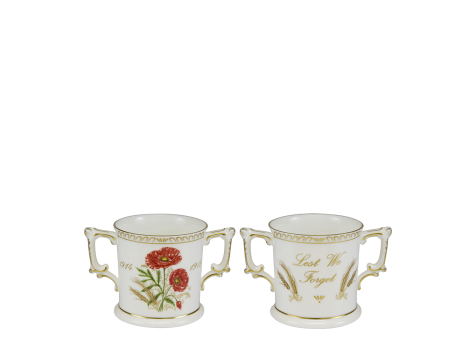 Backstamp denotes; "In recognition of all World War II War Pigeons who served alongside the British Military Intelligence Service" and includes a limited edition certificate numbered.